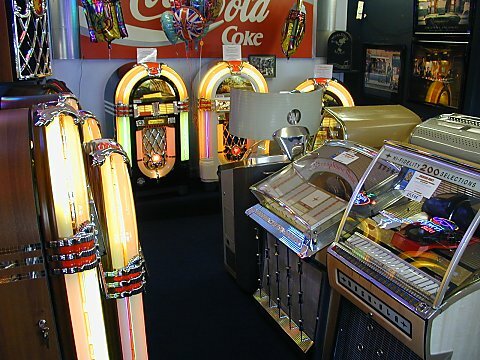 Home Page - Jukeboxes DirectJukeboxes Direct | Wurlitzer Jukeboxes bought sold repaired restored. NOTE: EMAIL FORWARDING FAILED THIS WEEK SO IF YOU HAD TROUBLE EMAILING ME FROM THE LINK BELOW, TRY PHONING. THANK YOU. Welcome to Jukeboxes Direct. Please use the navigation links above to find what you are looking for. I buy and sell, repair and restore, Wurlitzer and Rock-Ola jukeboxes. I also supply a large range of new parts for the Wurlitzer One More Time including bubble tubes, plastics, lights, motors, chrome pieces and anything else you may need. Jukeboxes For Sale are on display in my showroom. You are very welcome to come and see them mid-week by prior appointment (as I am in and out doing callout repairs) or you can call in on a Saturday when the workshop and showroom is always open between 10.00am and 4.00pm. Most parts available for the Wurlitzer One More Time.